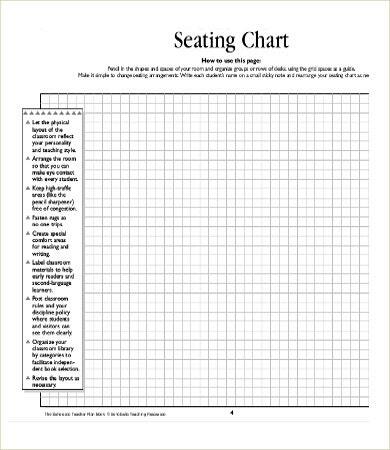 A seating chart is a seating plan done by teachers to assure that the students are positioned in the classroom in a way that the learning process will be effective to everyone. 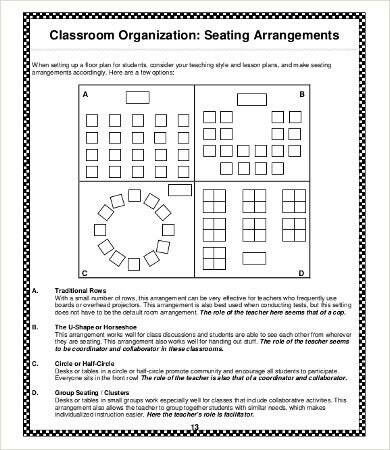 There are many possible reasons why a teacher comes up with a specific seating chart. It may be based on his or her own judgement or it may also be a result of a study done with the current academic performance of the students. 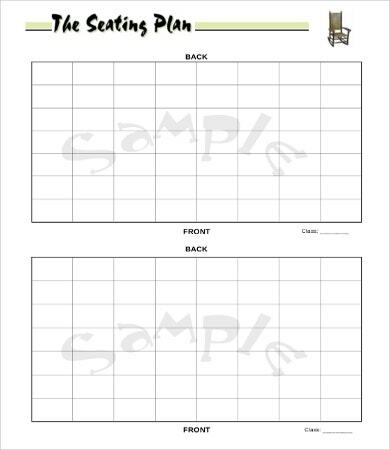 We can provide you with sample teacher seating chart templates and other Chart Template samples, which you may be used for other activities that you want to develop or take a visual representation of. The name of the students who are in a specific class. The number of students that are expected to be present in a class period. Symbols of chairs, tables, and other items that can be found in the classroom that can better illustrate the seating plan. The groups of students that can be identified by row, by line, by table, or by column, depending on the seating chart made by the teacher. 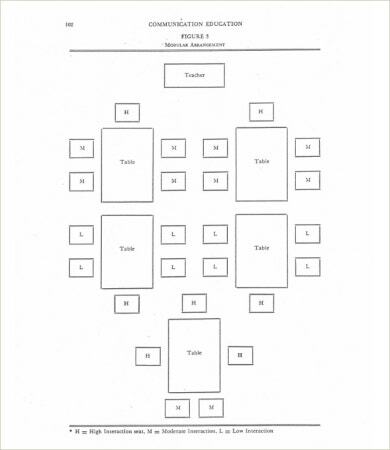 It helps the purpose of teacher on why he or she has selected a specific seating chart to be implemented. It provides a more arranged learning environment. It allows a more comprehensive learning strategy depending on the seating arrangement. It assures the teacher that seat mates can help each other in their academic undertakings. 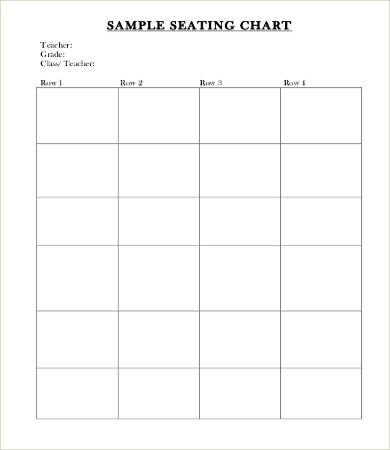 Aside from the sample teacher seating chart templates in this article, you may browse through more samples of a Classroom Seating Chart Template and a Seating Chart Template in the links provided. The personal needs of students. There are students that are needed to be seated in the front as they have eye conditions that will unable them to perform well and see the writing in the board should they be placed at the back part of the room. The grade average of the students. 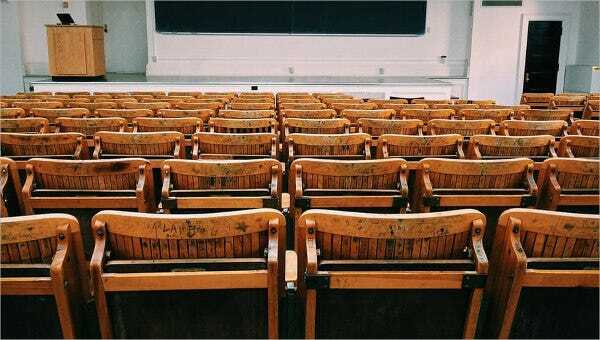 Usually, the top-performing students are placed at the back, and those who needs to improve are seated at the front so that the teacher can oversee their academic activities more properly. The physiology of students. Some students are too tall to be placed in the front seats as they may block other students behind them. 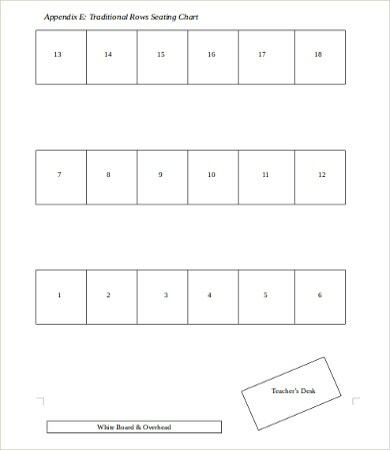 Other than our teacher seating chart templates, you may also download our Table Seating Chart Template samples, which may be used for different events and programs.